Artist Dale Chihuly visited Italy’s V.S.M Venini and Co. on a Fulbright U.S. Student Grant in 1968 where he was entranced by the fluid movements of the glassblowing teams of Murano and their dramatic skills with the medium of glass. The visit inspired 50 years of experimentation and innovation which made Chihuly synonymous with glass art. 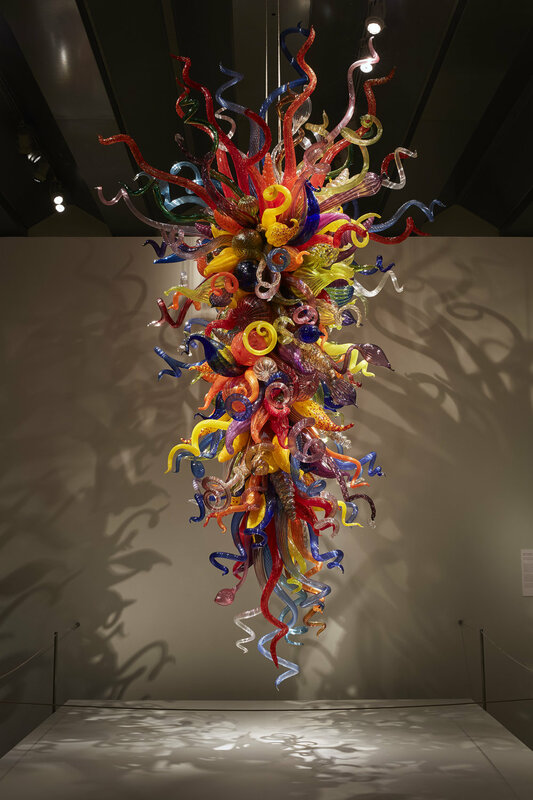 In honor of Chihuly’s impact on the Studio Glass movement and his continuing connection to Tacoma and the Pacific Northwest, Spotlight on Dale Chihuly: Works from Museum of Glass Permanent Collection celebrates his artistic innovation. 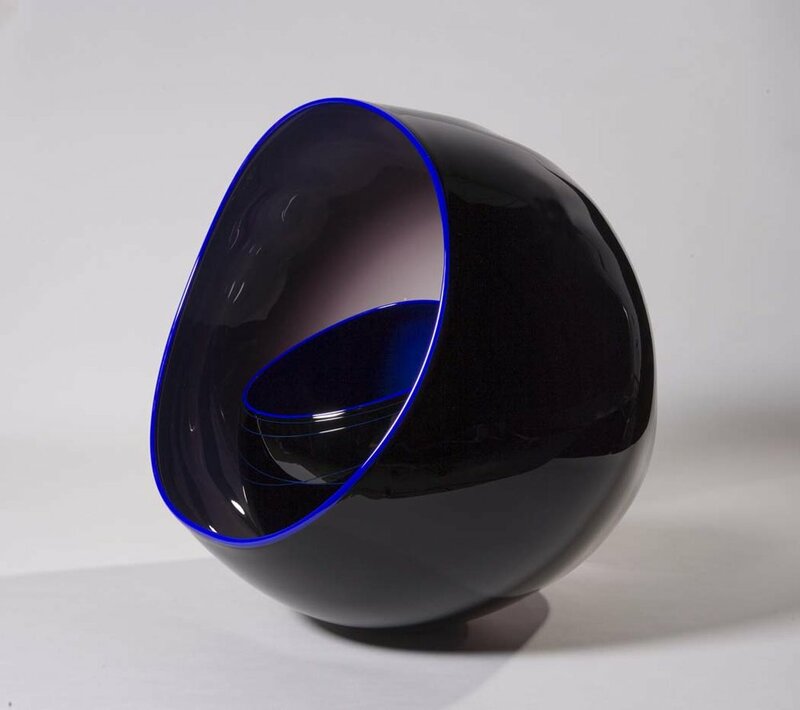 Museum of Glass visitors are introduced to his work through the showcasing of nine intimate examples from the Museum’s Permanent Collection. This includes the Gibson Chandelier, acquired from a private donor in 2013. The exhibition provides an artistic primer for visitors to learn about Chihuly’s various series and is accompanied by photos of the artist in MOG’s Hot Shop, and by a video presentation of his ambitious Chihuly Over Venice project, which resulted in “end-of-day” chandeliers like the Gibson Chandelier. Spotlight on Dale Chihuly also features a “Chihuly in Tacoma” walking tour to connect visitors to the Chihuly Bridge of Glass and Union Station Courthouse. Organized by Museum of Glass. Sponsored by KBTC.